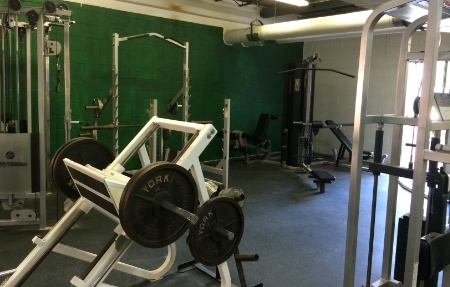 We have a well-equipped facility that supports student-athletes in all aspects of fitness. Our center houses treadmills, ellipticals, stationary bikes, free weights, functional trainers, and more. Athletes are encouraged to utilize the fitness center to receive individualized sessions during the free time built into their academic schedule. Some students will find the time between classes or during free time to be a better fit for their schedule. 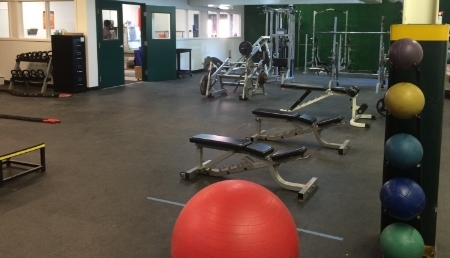 The primary goal of the strength-training program at Wardlaw + Hartridge is to minimize the risk of injury in our student-athletes. The program prepares our athletes for all of the demands placed on their bodies during competition. Focus is placed on total body strength with an emphasis on core strength to compliment the conditioning received from their sport. 1. Proper Functional Movement – Each student-athlete will be coached on safe, effective movements for all exercises performed. 2. Progress – All athletes will be given a workout chart to log workouts and note their progress. 3. Periodization – The strength program is constantly evaluated and changed on an as needed basis. This is to ensure that each workout is as effective as possible. 4. Hard Work - Athletes are encouraged to work hard and push their personal limits. 5. Encouragement – Motivation and commitment are key to success! GO RAMS!